The Spoon table was designed by Antonio Citterio for Kartell in Italy. Spoon Table is a folding light office table characterized by its extreme lightness and practicality. The structural surface is made of honeycomb aluminum. The finish is white laminate whereas the methacrylate edges are coloured on the bottom so that the transparency creates a sense of depth. The thermoplastic legs are a guarantee of resistance and elasticity. 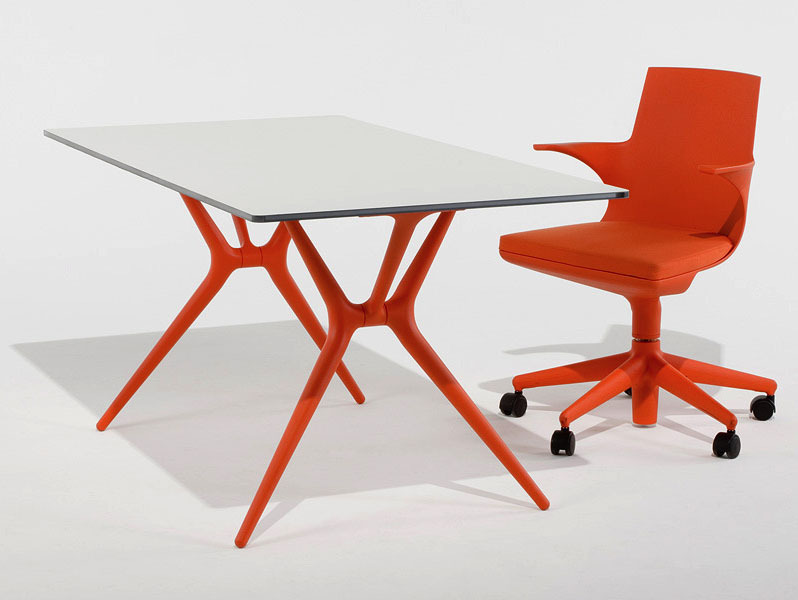 The knee mechanism closing was developed for easy folding of the top and makes the Spoon Table perfect for living in small spaces and easy carrying. The leg-locking system requires no tools and works using only a slider eyelet. 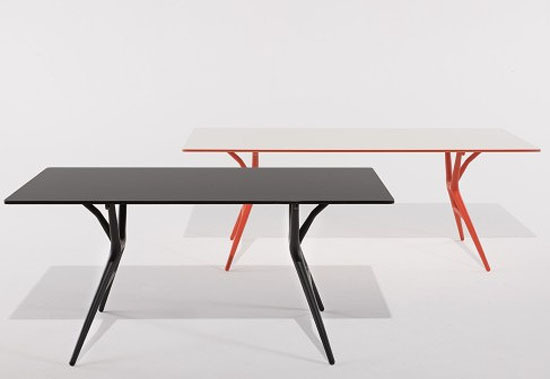 The Spoon Table comes in three sizes of top and with legs and matching edges in three colors. Kartell Spoon Desk by Antonio Citterio. 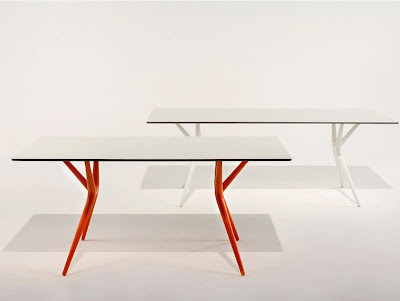 The Spoon Desk is characterised by its extreme lightness and practicality. The structural surface is made of honeycomb aluminium and is only 15mm thick. 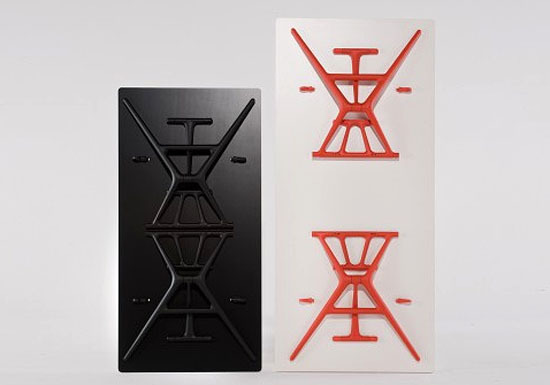 The thermoplastic legs are a guarantee of resistance and elasticity. The legs fold easily under the top to make the Spoon Desk perfect for living in small spaces and for easy carrying. The leg-locking system requires no tools and works using only a slider eyelet. 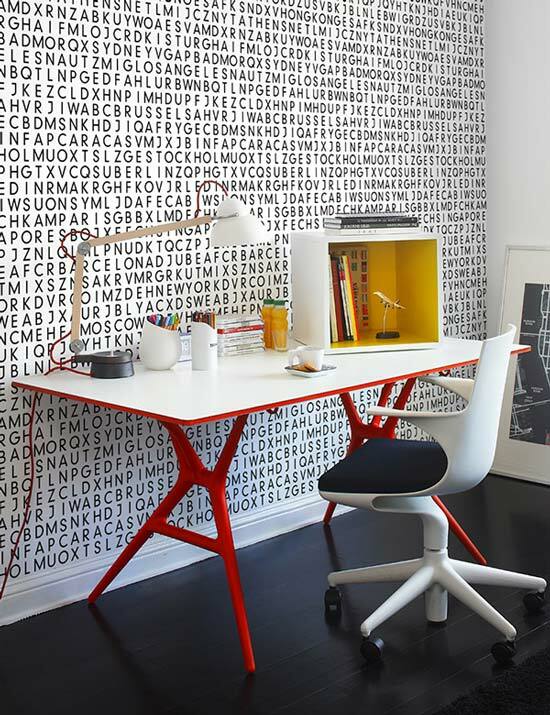 The Spoon Desk comes in three sizes. 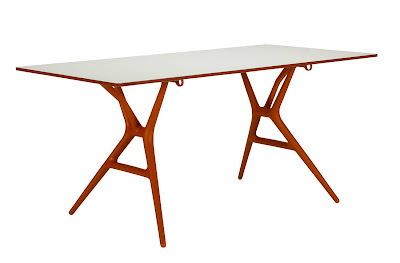 Would also make a great kitchen or dining table.